← Would anybody miss you? 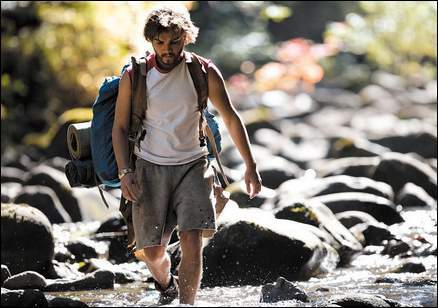 This much talked-about movie — based on the book by by Jon Krakauer — was recently released. The entire premise of the true story is a brutal commentary on our modern culture. It chronicles the life of young Chris McCandless as he looks for meaning, and ends up disappearing into the Alaskan wilderness. The book – and presumably the movie – are excellent. But there is a pervasive sadness. McCandless looks for purpose in his life, running from riches, running from society and running from responsibility. He escapes ultimately to nature, hoping that it gives him the answers he looks for. He cashed in his law school fund and lived off the grid. He hopped trains and hitched car rides across the country. McCandless was conditioned in an increasingly secular world to find achievement and meaning in success, riches, and goodness. But he saw the emptiness. He looked for meaning in simplicity and eventually in nature. Yet, all those things are temporal. They all disappoint. They all fail. He ended his life in an abandoned bus in the Alaskan wilderness near Denali National Park, dying of starvation. McCandless was looking for answers – yet he missed the most obvious – God Almighty. The answers were there for the taking. So the movie is really a film about a fool – a man who tried to fill his void without God, who promises to fill every human life with reason to live with abundance. May those who see McCandless purposelessness not repeat his folly. This entry was posted in Authentic Living; purpose. Bookmark the permalink. It makes me think of something Augustine said: You have made us for thyself, O God, and our hearts are restless, until they find rest in thee. Your commentary is extremely narrow and uncomplicated, providing little, if any, illumination on this subject matter. McCandless, while seemingly secular but raised on Christian values, neither denies nor embraces a higher deity. Rather, he sought out an unreachable truth, ultimately to his own demise. That being said, his societal critique should not be dismissed as simply lacking faith or refusing to embrace biblical theology. Is there any character in the Bible who just walked off and left the human world behind in a journey of self-reflection? Any character in the Bible at all who did that? Hmmm, the name is on the tip of my tongue but I can’t remember exactly…. Anyway, yes, I totally agree with you. Lets not have anyone run off foolishly into the wild like Jesus did. The fool. Jesus went to the wilderness to be with God — fasting, praying. Poor Chris was looking for his answers in the rocks and the trees and in his own abilities. It could have simply be found in God. I'm sorry, but clearly the point of this movie was not to say that he could have been saved had he found Jesus Christ. The true meaning lies in the character's discontent with society, and how he rejects the common challenges that people face, i.e. school, work, etc. He is too much of an intellectual to to be content with the rudimentary aspects of society. Any thinking man rejects the notion of God, because if you do think – it just doesn't make any sense to believe. Nonetheless, in the end, he finds himself realizing the error of his ways, which is: "Happiness is not real unless shared". He looks back on the wonderful people he met and misses them. He does not miss this fictional character that you call "God". Tangible friendships are much more important a friendship with god, AKA Your mind rationalizing.